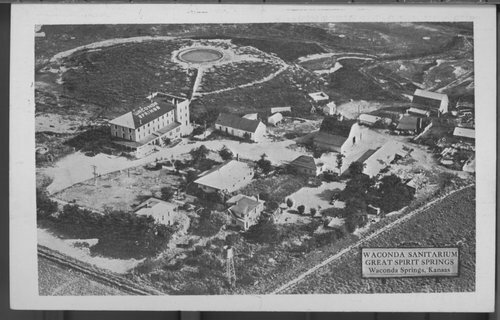 This postcard shows the Waconda Springs resort located in Mitchell County, Kansas. It was originally a gathering place for Native Americans but was later developed into a resort. Eventually, Waconda Springs was flooded as part of the Glen Elder Reservoir.